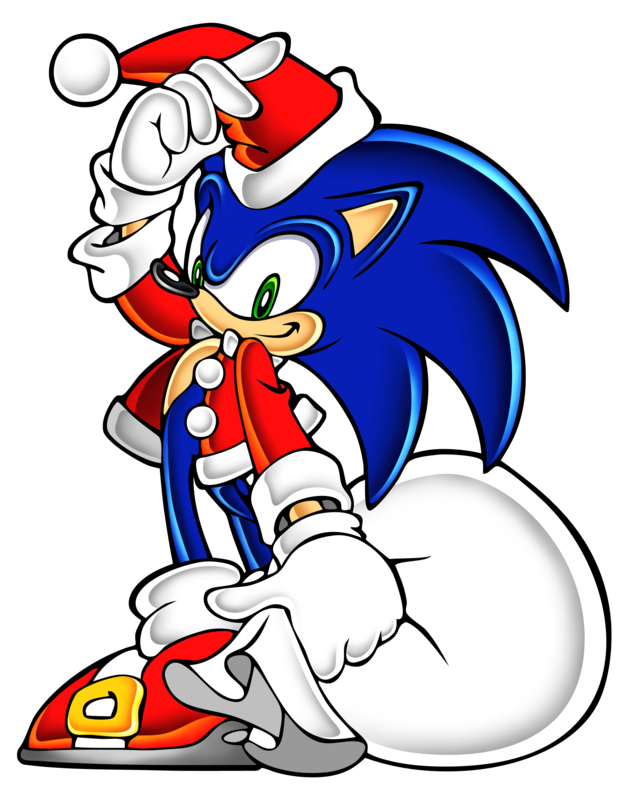 Not one to be left out of the tradition of having a Christmas cartoon spinoff, Sonic too had a Christmas special, which includes a few cameos from the SatAM saga while being firmly based in the world of Adventures of Sonic the Hedgehog. Note the slightly higher quality animation. Sparkly. Grab some cocoa or some egg nog and kick back. David may have given you 12 days of gifts, but here’s one more for you all. Because we love to spoil you here at Retro. Merry Christmas, everyone! Hit the jump for the other parts. So this is Christmas. In reality, it’s not all that different from other Christmases. There’s snow outside, a fire inside, gifts under the tree…well, unless you don’t celebrate Christmas and find it all just one big consumer monstrosity. But that’s ok, because hiding under all those layers of consumerism is the true spirit of Christmas, full of good will towards men and happiness to all. And really, when we were young, fruitful, and full of spirit, what was it under the Christmas tree that brought so much joy to our youth? Why of course. Sonic the Hedgehog! 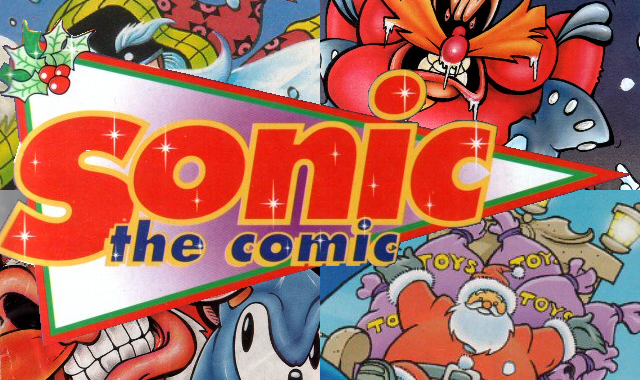 …some more nonsense about Sonic the Comic. I probably don’t need to remind anyone about part one of this article, as it’s still on the front page and you can just glance at it. But heck, here’s a link anyway if you stumble across this sometime next September. Now, let’s continue on! For when we last left our heroes, Sonic the Hedgehog was stranded in The Special Zone, the Chaotix were being ineffectual, and Dr. Robotnik…oh right, we didn’t get to that. …British men playing Sonic on the telly. The granddaddy of them all was a little show called Gamesmaster, which was half review show, half video game competition, and altogether awesome. And a little freaky (there’s this floating head you see oh god what is that). We’ve seen all sorts of Sonic games made all over the place here on Sonic Retro, like the Mega Drive, the Game Gear, and even the odd PC game. But what about Game and Watch style? While this isn’t Sonic’s first time in monochromatic beep-booping action, forum member Elratauru has created a little game that has Sonic facing off against the ever familiar Egg Ball boss of Green Hill Zone as well as the Egg Fire from Marble Zone. You can check it out over at Newgrounds.com. For discussion about the game, hit up the forum link here. Are you tough enough to handle the higher difficulties? …a video Google helped me make. Just remember: it’s meant to be funny. A “gentle ribbing,” if you will. If you don’t find it funny, don’t immediately think that it is an attack on your favorite hedgehog/developer. 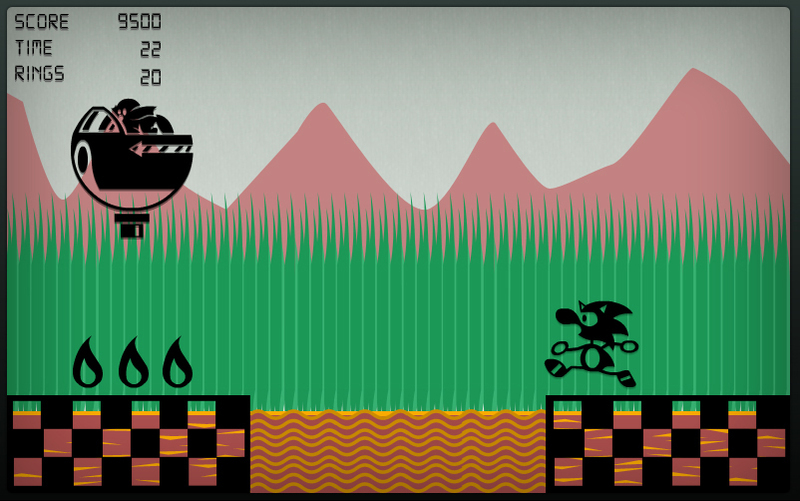 This is still Sonic Retro, for all that’s worth. We’re supposed to be a lot more blatant when we insult people! At lest it fulfills the “physics” requirement of Retro! …that wasn’t very long at all. We’re going to need some bonus material up in here.